First things first. It’s Couchsurfing with a capital C and not couch surfing with two words. Ok then, that’s that sorted. Let’s move on. Before my husband and I set off to travel the world with our two kids aged 16 and 13, I had never heard about Couchsurfing. I certainly didn’t think it would be something that a family could be part of. Now, 7 countries and 34 couch surfing hosts later, we now consider ourselves Couchsurfing experts (woohoo!) and we are more than happy to share our experience and advice with you. This post contains affiliate links. If you use them we make a small commission but they cost you nothing. If you aren’t already a member of Couchsurfing, download the app here from the App store and sign up from your phone or tablet for FREE. If you are on a desktop sign up to Couchsurfing here. A Couchsurfing Review 2019: How Does it Work? Make A Profile. How to Make The Best Couchsurfing Profile. Go to the site here and sign up. When you sign up for Couchsurfing you state whether or not you are able to host. If you are traveling like us then you will have to say no to this at the moment. Don’t worry, you can always repay the favours when you get back home and clean the spare room out. The best Couchsurfing profiles are those that include tons of information. Make sure you include your likes and dislikes. Whether you prefer hosts with families or maybe your own room. Say if you prefer to smoke or if you are of a religious belief that leads to certain rules. By making the best profile possible, you are much more likely to find the perfect match when it comes to choosing a Couchsurfing host to stay with. Time To Find A Host! Enter into the search box where it is you want to go, and put in the dates. Say how many people are in your party and press enter. You will be shown hundreds, if not thousands of hosts. If you prefer to stay with hosts with families tick this box. Hosts who offer a private room tick the box. You get the idea. Be careful with the filter box though. Being too fussy may mean you miss out on some fabulous opportunities. 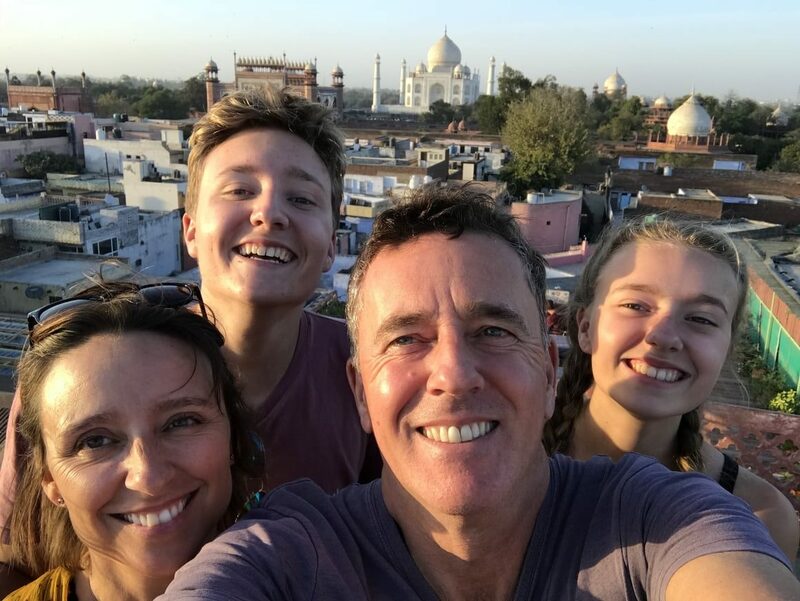 With accommodation being the most expensive part of travel, our family knew that if we wanted to travel around the world for a year, we would have to find ways to avoid paying for accommodation. We did consider squatting, but in the end, turned to Housesitting – the reason we saved ten grand in Europe – and Couchsurfing. 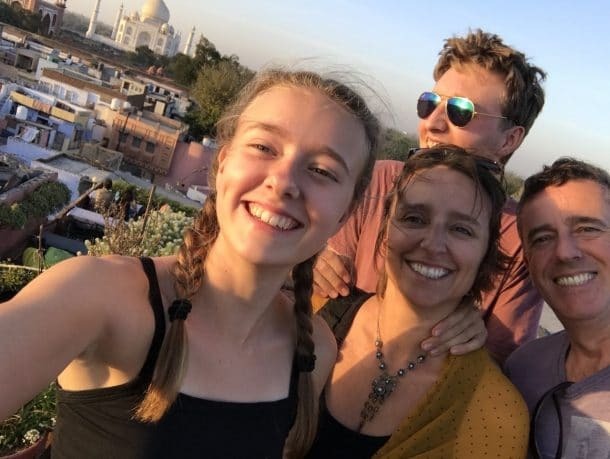 Long term travel with kids is bloody brilliant. Nothing like I imagined it would be. 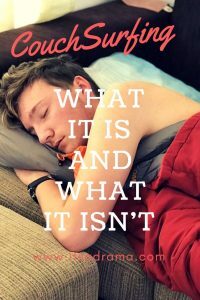 Because we spent the majority of our time Couchsurfing, our experience of travel and meeting different people was very different from the norm. 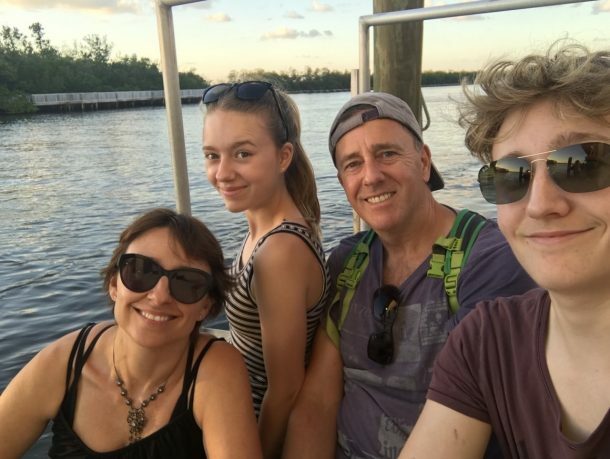 Couchsurfing as a family is one of the richest experiences you can give your children while travelling. It isn’t as scary as it first sounds, no worse than turning up at an Airbnb for the first time. Honestly, you will meet so many lovely people who will remain your friends for life. Will We Really Have To Sleep On A Couch?? To date, we have stayed with 34 Couchsurfing hosts and I have never slept on a couch. My son has, but only about four times. Anyway, he doesn’t count. He’s young and doesn’t need a proper bed. When couchsurfing as a family, you will sometimes (if you are lucky) be given two rooms and the kids can have a bit of space, but mostly you will all be in one room. I love this. My kids hate it but I love it. I think it makes the whole experience exciting and conversation-worthy. I read somewhere that a hotel is a five-star prison and when we are Couchsurfing this always rings true. You will receive tips on places that you would never have possibly known about. We were told about the best Ghostwalk tour in Charleston, USA, a FREE parking space in the middle of Paris, the best pizza restaurants in Florence, the way to see the Cherry blossoms without the crowds in Japan, free temples in Sri Lanka…I could go on forever. Couchsurfing families are fabulous to stay with when you have kids of your own. Learning how to draw Japanese style thanks to Couchsurfing! Couchsurfing.com has a fantastic, incredibly user-friendly website. You have access to all the reviews left by previous couch surfers. It is impossible for the host to alter their Couchsurfing reviews. By practising a few simple steps you will be able to iron out any worries that you may have about your safety when couchsurfing. Send a message directly to the host asking whatever it is you need to know. You will soon get a feel from the messages if this host is the one for you. Read every review that has been left on the profile, making sure to read any negative ones as well as positive. If you are still not sure, I suggest you do what we did a couple of times. Look for someone who has stayed with the host. Send a friend request to them. Send them a private message asking them for more details on the host you are planning to stay with. This is a belt and braces, tried and tested technique but it gives you the peace of mind. Especially if you are Couchsurfing alone. Do your homework and use your common sense. I wanted to stay with a host in Italy. He had over two thousand Couchsurfing reviews, but fifty of those were negative. By digging a little deeper, I was able to conclude that the guy’s bathroom wasn’t the cleanest and he also insisted on guests having dinner with him on the first night – thus the reason for the negative reviews. Neither of these things was a problem for us, and so we decided to stay with him. Everything was as we expected. Not the cleanest of bathrooms and dinner together on the first night. Yes, he was a bit of a control freak but that’s fine by me. It takes one to know one as they say. Sometimes the negative reviews don’t necessarily correlate with your idea of negativity so do your homework. My advice to you would be this. If someone looks the slightest bit dodgy, then don’t request to stay. No matter how desperate you are. I am going to say yes, but I don’t want you to think that this is the only reason to couch surf. There is so much more to Couchsurfing than getting a free pace to stay for the night. I am all about saving as much money as possible when we travel but it goes a little deeper than that. Couchsurfing is about connecting with travellers from around the world. It’s about swapping stories and food. Living with a local for a few days. In exchange for giving you a free bed for the night, your host will expect you to share some of your stories. Spend time with you. Don’t use Couchsurfing as a free hotel or I will be cross with you. What To Take Couch Surfing With You. You don’t have to take anything with you when you couchsurf but talking from experience I would highly recommend these few essentials to make the whole stay easier and more enjoyable. More than once we have been glad of these little pillows. Not every host has spare pillows and they do appreciate it when you bring your own supplies. 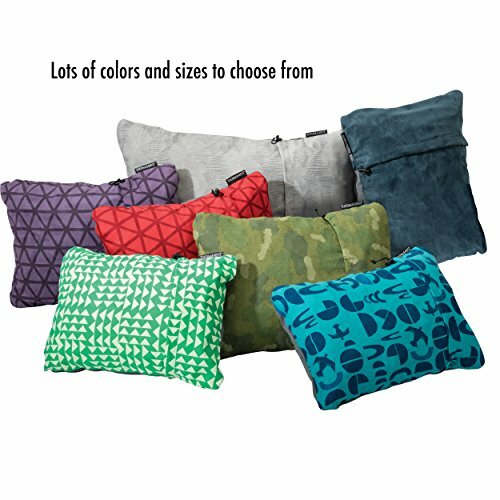 These Thermarest compressible travel pillows squash down to almost nothing, are super lightweight and are covered with brushed polyester making it soft on your face. 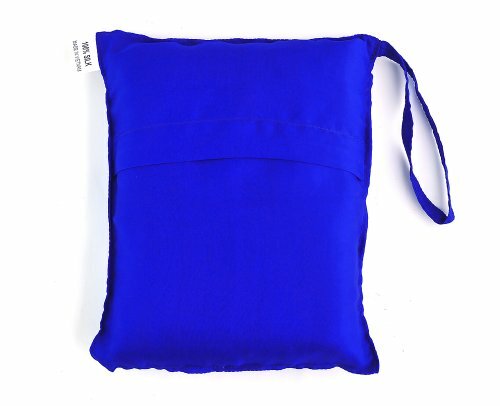 Sleeping Bag Liner For Hot Nights. Again, if you turn up to couchsurf and your host doesn’t have any bedding you are going to be in trouble. Remember if you use the bedding provided by the host you are expected to wash it afterwards. 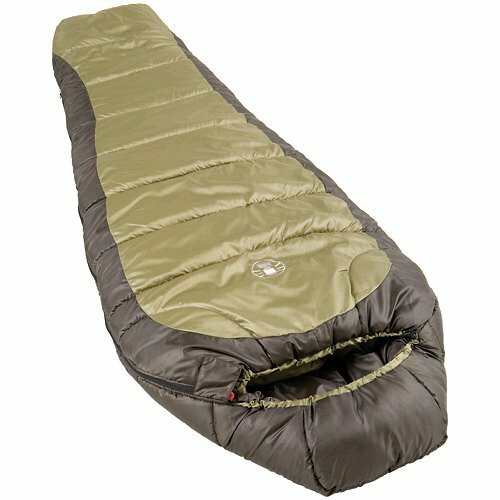 For colder nights you will need a sleeping bag. We all have a Coleman Mummy Sleeping bag. They are lightweight and cosy. The fact that they are shaped like a mummy is perfect if you are Couchsurfing as a family and need to share the same bed. Less space to take up! It goes without saying that you won’t be wanting to use someone else’s towel when you couchsurf. 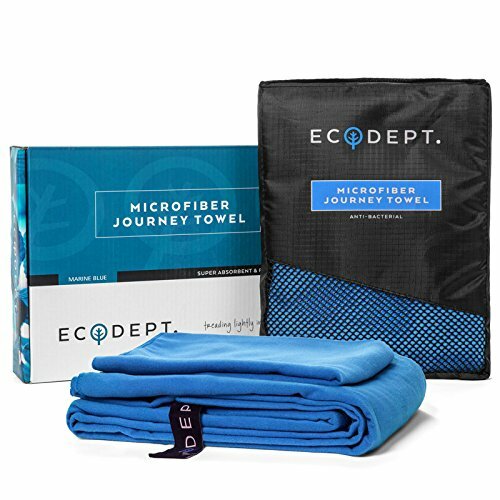 We love these ECOdept super absorbent travel towel simply for the fact that they dry so quickly. Remember, not all couchsurfers allow you use of their laundry facilities so these are super handy. Whether you are Couchsurfing or not, please don’t think about travelling without insurance. Some Couchsurfing hosts (like our man in Italy) host up to 7 different people at a time. You don’t get a lock for your door so make sure that your bags are covered for theft – just in case. It probably would never happen but for the sake of a couple of hundred dollars, it’s worth the peace of mind. We only recommend World Nomads. They are the best out there for travellers. Click here instantly see the price of insurance for when you go Couchsurfing. Which Countries Are Best for Couchsurfing? We have now couchsurfed in five countries. Here is a quick review of those countries and how they all differed. In Charleston, we had our own car which was handy as the host lived quite far from the city. Check where the host lives and whether they are close to public transport. The host was out for the entire stay. We had two rooms and our own bathroom. We were allowed to use the kitchen to cook meals. We ate breakfast at the house but ate dinners out. The hosts made us a meal for when we arrived. We called ahead before and asked if we could bring something which we did – wine and chocolates. We had two rooms. The kids were on a mattress on the floor; we were in a lovely comfy bed. Sorry kids. We are the eldest. We used the kitchen to cook breakfast and ate with the hosts before they went to work. We left the house at the same time as the hosts went to work. We got free metro tickets that had been left by previous couchsurfers. Got some fabulous tips on free things to do in Washington. We got to learn all about the politics in America as our host was a lobbyist for the government. We applied to stay with the host the night before and were thankfully accepted. Not all hosts like such short notice. Allow at least a week to apply. Was asked to pay $10 per person to cover the price of all meals. This was non-negotiable and probably a little naughty. We didn’t mind though. The food was lovely and we figured it was helping a local family who needed the money. Know that this isn’t normal practice when couch-surfing. We all slept in the hosts’ family bed while the host family slept on the floor next door. We were not at all comfortable with this and only stayed one night. On speaking with other couchsurfers afterwards, it seems that this is the norm in Sri Lanka. Our host was a Buddhist, and we learned all about the religion over dinner. Is there anything better than first-hand knowledge? We used our own bedding and travel pillows. See ‘What to take Couchsurfing’ above. Don’t couchsurf in Asia without your own bedding. The best thing about Couchsurfing is you get to know secrets that only the locals know about. The best free temples nearby. Some will say we were crazy to couchsurf in India with the kids, but I disagree. The hosts were charming, friendly and helpful beyond belief. We all stayed in one room. No meals. No kitchen use. We ate at local restaurants with the host. Host met us from the bus station. The host was part of an arranged marriage. So we spent an entire day chatting about the whole procedure and the for’s and against’s. Fascinating stuff. It is no secret to anyone following this travel blog that we LOVED Japan. 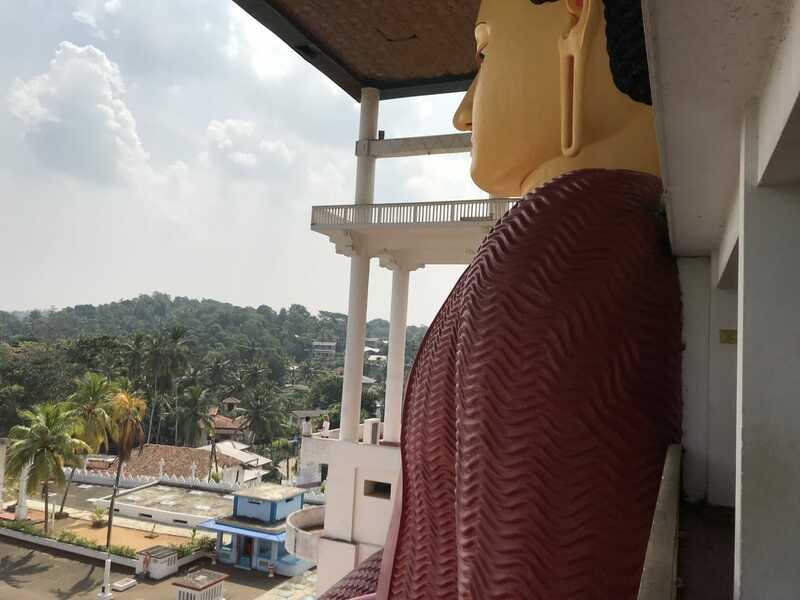 If you get the chance to visit this beautiful country, then please do so. It is amazing. We couchsurfed for our entire two weeks in Japan and loved every minute of it. If there is one place on earth that I recommend you to couchsurf it would be Japan. And you may want to read this post on another way to save money while you travel in Japan. 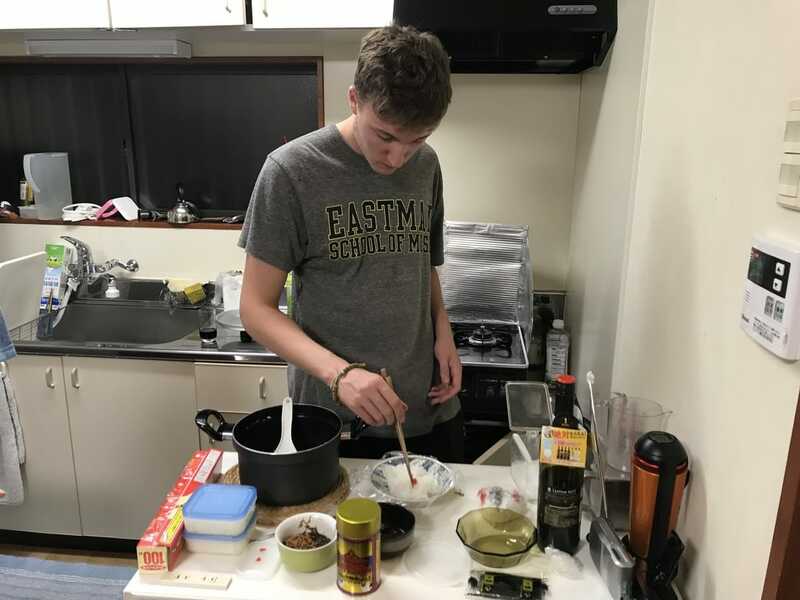 We stayed with seven different Couchsurfing hosts while in Japan. The Japanese people are the friendliest Couchsurfing hosts we have ever experienced. Every single host that we stayed with treated us like family. We were given meals, breakfast and dinner with every host we stayed with in Japan. We were met from the station by every host. We slept on futons in every house. We always shared a room. Apply to Japanese hosts early. Japanese people are planners. They do not take kindly to last minute requests. 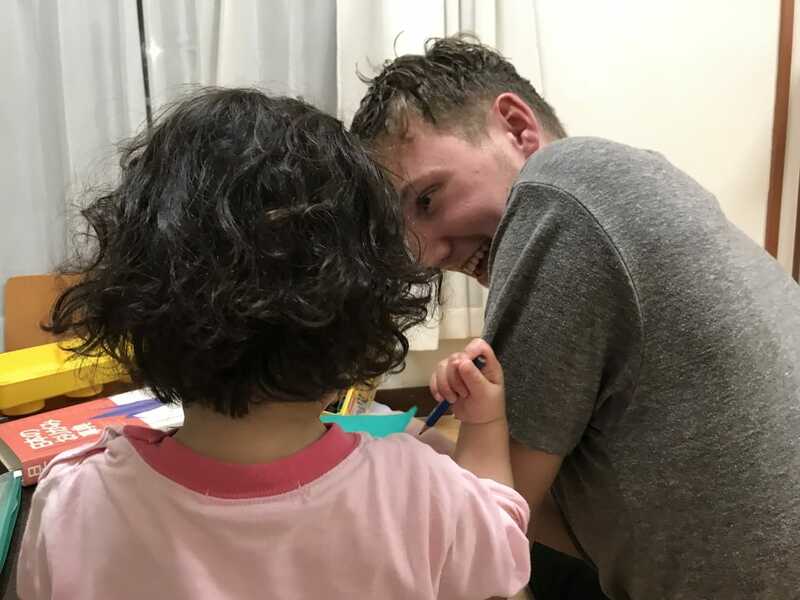 The Japanese Couchsurfing hosts seem to love families. If you’ve got kids, you are in luck. 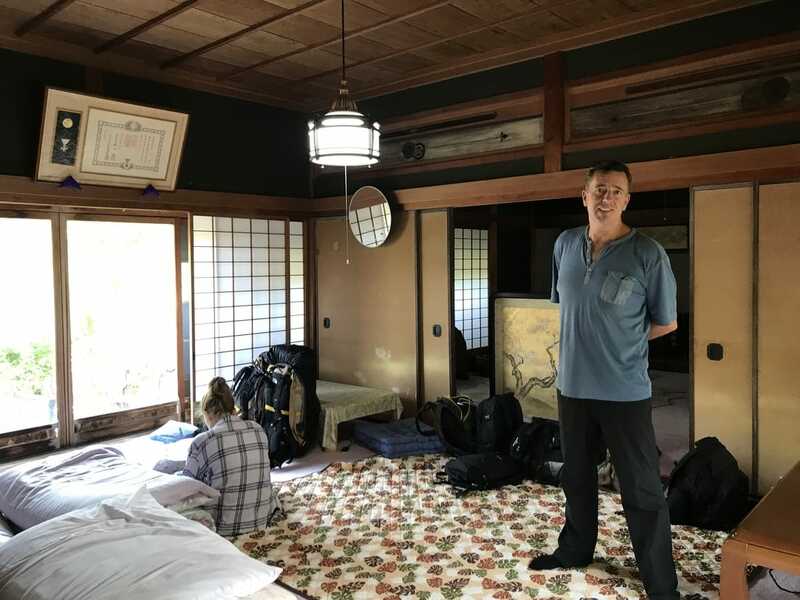 When else would you be able to experience staying in a traditional Japanese house and sleeping on futons? There are tons of Couchsurfing hosts in Italy but unfortunately (for us at least) the majority seem to prefer solo and couple travellers. If you are couch surfing with kids, you will have to do a bit of digging around. We stayed with a host who had advertised a room as being ‘a hobbit hole room’. This turned out to be an oversized rabbit hutch on his veranda. Just saying, you might want to check what specific descriptions mean. As it was my daughter slept in bed with us but had you been four adults it would have meant sleeping with Barney for the evening. We cooked at least one night for every one of our hosts in Italy. We always bought gifts for our hosts. This applied to everywhere that we Couchsurfed, not just in Italy. One host insisted we left the house before he went to work which was 7.45 am. Not easy with two teenagers let me tell you. 8 Travel tips that you can safely ignore – because they are rubbish! Travelling with teenagers? Consider buying these fabulous items to keep everyone sane! I hope this Couchsurfing review has shed some light on what has to be the absolute best way to travel and see a country on a budget. Don’t let the opportunity of Couchsurfing pass you by; you will love it I am sure. If there are any more questions that you want to ask that I haven’t covered, please feel free to message me. Until then, go and download the Couchsurfing App for free and start your first Couchsurfing experience! Nice work Luz. You are now the couch surfing expert. I know not of one other couch surfing blog with so much experience of what couch surfing is really like. For the record…you can keep it, I love meeting my fellow travellers in hotels and guest houses where I’m not required to be nice to them if I’m not in the mood. I have hosted though, and did it purely to offer a free bed to kids travelling. I thought their mums would appreciate me. Again, didn’t want to talk to them paticularly. Please try to fit us into your schedule. Hope we can make something work!Can’t wait to hear about your plans! 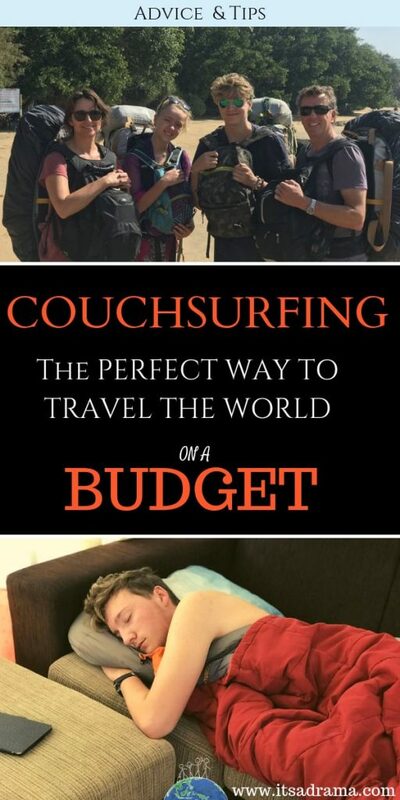 Couch surfing sounds awesome! You are certainly giving the kids a fabulous experience for sure.